After seeing and hearing loads of really good reviews about this product, I decided to give it a try as I kept reading that it made people skin feel really clean and soft after using it. So whilst I was doing shopping in Asda's I spotted this mini bottle of Garnier Micellar Cleansing Water for just £1.00 so I thought whilst it was at that price I would give it a try and see how I felt about it. I wanted to give it a good test before writing anything about it, so I've used up just over half a bottle....and maybe I'm just one of the very few people that actually hate it! After the first day of using it yes my skin felt really fresh and clean well I say a day but it was actually about 8:00pm at night when I first tried it, but after about an hour or so my skin felt really greasy which I wasn't expecting at all. But still I thought maybe that's just it's little magic way of working so I carried on using it for a bit every night around the same time to see if my skin reacted differently to it after a few days, but my skin always ended up feeling the same horrible greasy way after about an hour so I ended up going back and just sticking to my trusted Body Shop Tea Tree Facial Wash which definitely did leave my skin how I wanted it to feel. Do i think this product it worth the big hype everyone makes of it? Me personally I don't think it is at all and it will definitely be a product that I wont be repurchasing in the future, no matter how cheap the price of it may get. Have any of you tried this product and ended up hating it, or are you one of the many that love this product? 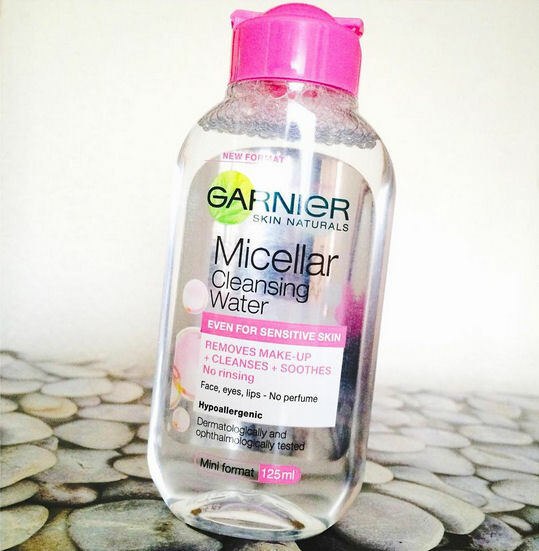 Whichever one you are let me know your thoughts on Garnier Micellar Cleansing Water in the comments below.